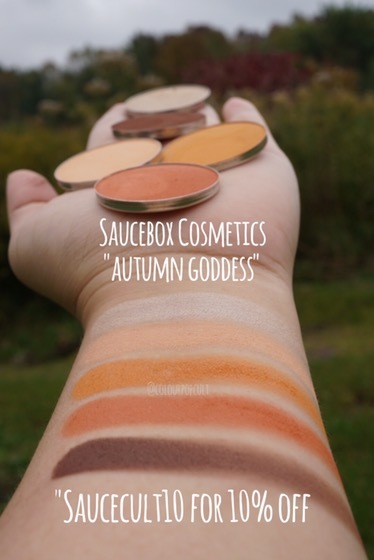 @sauceboxcosmetics has ONLY FOR TODAY opened the presale for their AUTUMN GODDESS set! Code SAUCECULT10 gets you 10% off of your order!!! 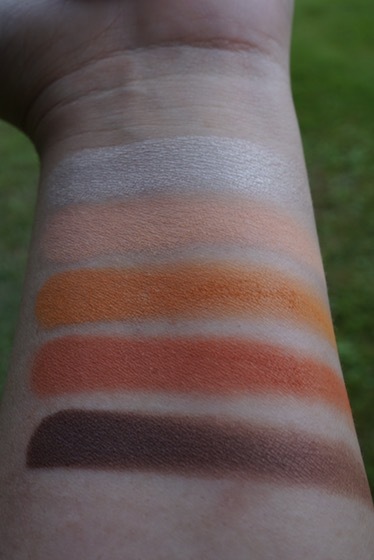 It was rainy and overcast and completely bad for swatches but once I played with these mattes I completely fell for the creamy texture and smooth blendability. 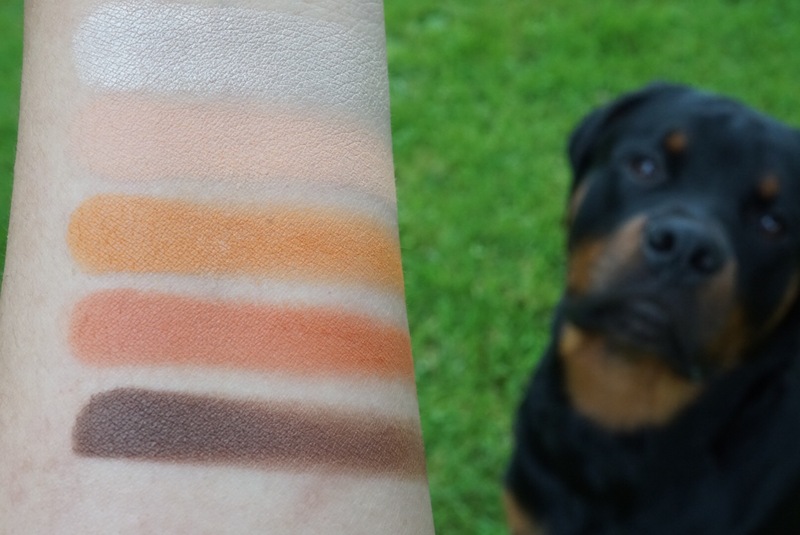 @sauceboxcosmetics is proudly cruelty free and US MADE! 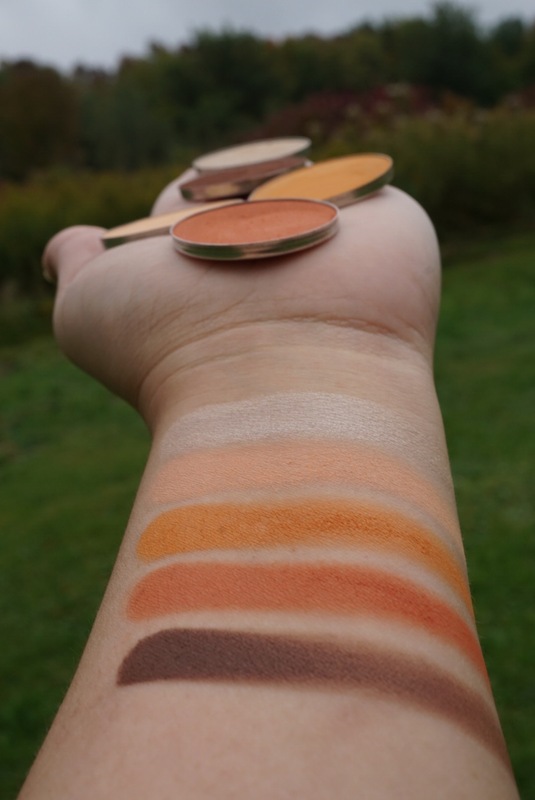 So it’s easy to see how we love these homegrown top quality fall shades that set us on that fall mood. 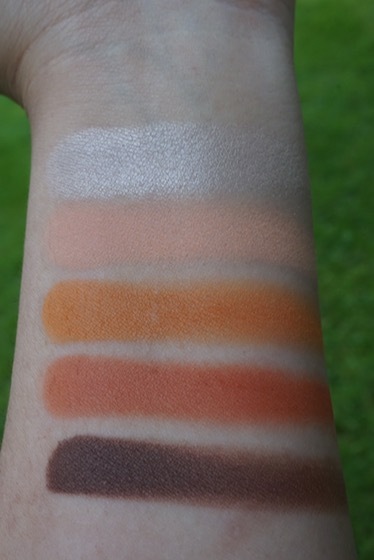 Top shade is a champagne gold and the only shimmer of the bunch making for a highliter/inner corner shade.